I'm already a follower of Green Fairy Quilts and receive their newsletter. Thanks for the sweet giveaway! I follow your blog via email. 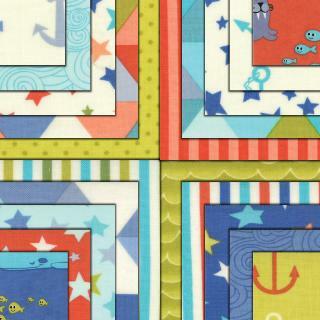 Thanks for the chance to win this fun fabric. I signed up for Green Fairy newsletter. 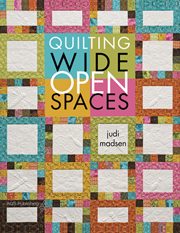 Don't know why I hadn't before - I love Judy's quilting, site, charity etc. and purchase precuts from her. Thanks again. I already receive your e-mail letter. I follow you on Bloglovin now. I follow you on bloglovin. Great giveaway. Greenfairy quilts is a great site! I am a follower of your blog via Bloglovin'. :) Thank you for the chance to win! Already a follower of Green Fairy quilts, always great deals. I already receive the newsletter from Green Fairy. Love it! I receive your newsletter each day in my email box and love it! Thanks for the giveaway! I am a long time follower Leanne..thanks for this chance. I too receive green fairy quilts newsletter with their monday steals. I am a long time, loyal follower of your blog. Love it!! keep the posts coming. I get the Green Fairy newsletter. I love her shop! She has great prices on pre-cuts and free shipping (love that!). I am working on a baby quilt now that is adapted from her "Flower Patch" pattern and it's looking really cute! I subscribe to the Green Fairy newsletter. Beautiful fabric. Thanks for the chance to win. I have signed up for green fairy newsletter and follow you on bloglovin. Thanks for a fun giveaway. I already receive the Green fairy Quilts newsletter. I follow you with GFC. Thanks for a great giveaway. I am already receiving the Green Fairy Quilts newsletter, thanks!!!! I follow you via Bloglovin' - thanks for an extra chance to win this awesome giveaway!!! I follow you via email and I think Bloglovin too! That way I'm sure not to miss a post! I follow your blog as well and love it! Thank you! I signed up for the Green Fairy Quilt newsletter too. I am a follower of you and Greenfairy quilts! Thanks for the introduction to this new company (to me). They have a great selection. I hope we'll see a project from you using their fabric and quilted with your new buddy. Millie/?. I signed up to follow you by email. Thanks! I already follow Green Fairy Quilts by email. I already subscribe to Green Fairy Quilts newsletter and follow their blog. Thanks for the chance to win. I'm a follow of yours via email. I am a new follower with bloglovin. I'm already subscribed to the Green Fairy Quilts newsletter. Thanks. I'm one of your followers with Bloglovin'. Thanks again. I already follow GFQ and receive their newsletter. I love that site. I follow you on Bloglovin'. Thanks for the chance to win some very cute fabric. I have been getting their newsletter for awhile. Great shop and great people. I'm one of your happy followers too. I signed up for theGreen Fairy Quilts newsletter. I'm already a follower of Green Fairy Quilts' newsletter! I follow your blog through Feedly ~ Thanks for the chance! fingers crossed!! Thanks for a chance, I already follow Green Fairy, they have some great deals and I LOVE the free shipping! Also, love your new LONGARM. I've been getting GFQ newsletters for a long time! Love it! I have been getting Green Fairy Quilts newsletter ever since they started one! I absolutely love her and her quilting...one of my favorite shops. I have also been following you for a while on my sidebar on my blog....I love coming here and being inspired. I get the Green Fairy Quilts newsletter! Lovely fabrics. I get the newsletter and always look forward to Monday's to see what the special is! I get the newsletter from Green Fairy Quilts. Oh, I love Green Fairy Quilts - my go-to site for precuts! I am signed up for their newsletter already. I signed up for the newsletter. I already love their site, so I'm happy to get their newsletter. Thanks for the give-away opportunity. I follow your blog on BlogSpot, and always enjoy your projects. I follow you via Bloglovin. Thanks for the giveaway. I'm a follower of Green Fairy Quilts - lover her quilting! I get their newsletter! I follow you via email. Great fabric! I've received their newsletter for a long time and enjoy it immensely! I follow you via an RSS feed. I have signed up for your newsletter.. I enjoy browsing thru your fabric pages. I follow your blog via email. Great give away! I already receive the Green Fairy newsletter and browse their website often. I am a GF follower. I follow your blog by email. Thanks for the chance! I already follow the Green Fairy newsletter. Those monday deals are amazing! The Fairy book line is so beautiful! And OBVIOUSLY I follow you! I love Green Fairy Quilts and I already follow their blog and get their newsletter. I love following you too. I use Feedly. I'm on Green Fairy Quilts' newsletter list. ...and I follow your blog, too! Thanks for the giveaway. I am on Green Fairy's e-mail list! And I follow your blog via Bloglovin'! I signed up for their newsletter and Ironically I ordered the book last week! I ready receive the great newsletter! I get Green Fairy Quilts' emails. I now subscribe to Green Fairy Quilts newsletter. Glad to learn about them! I already follow you and want to congratulate you on your new arrival! Your pluses quilt is lovely! Thank you for the giveaway! I signed up for the newsletter and I already follow you. Long arm quilting looking GOOD. I've been following you on Bloglovin' for a while now! Great blog by the way! I just signed up for the Green Fairy Quilts newsletter! Thanks so much! I follow you! Thanks for the giveaway. I'm already a follower of Green Fairy Quilts and receive their newsletter. I am now a follower of yours, via bloglovin'. I follow along here Leanne. Yay for new sponsors! I receive the newsletters! Thank you for the nice giveaway! I already receive Green Fairy Quilts newsletter, don't want to miss anything. I signed up for the newsletter several weeks ago, and I visit the shop at least once a week. Signed up for the Green Fairy Quilts Newsletter!